Dried fruits are great tonic. Dried fruits have protein, fiber, phytonutrients, anti-oxidants such as vitamin E and selenium. Almond, raisins, cashews, peanut, walnut etc. are good choice for non-veg food. 1 cup almonds have 32 grams of protein, peanut has 36 gram protein and cashew has 20 grams protein. According to scientists one should take one third cup of different dried fruits every day. Properties of dried fruits are destroyed by frying or roasting them so you should use them without frying. 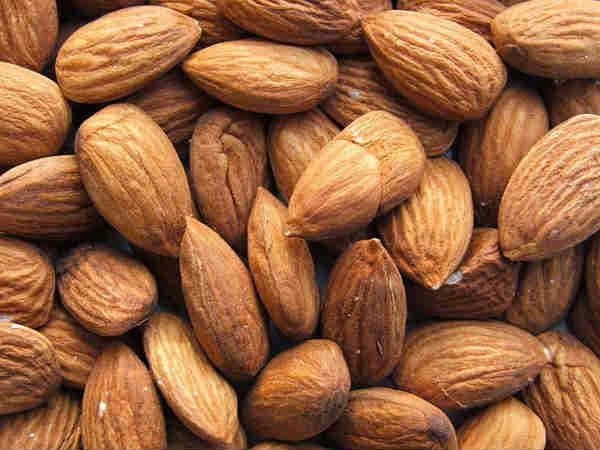 Almond: It is not only full of protein but also has plenty of fiber, calcium, antioxidants and vitamin E. Tooth and bones get strength by eating them and it has fiber which is good for the heart. Cashew: Cashew gives strength to the body and fight against the Streptococcus pneumonia. Half handful cashews have 374 calories, 31 gram fiber, 10 gram protein, vitamin E, vitamin K and vitamin 6. It has high amount of calcium, iron, folate, zinc and 16 gram carbohydrate. Pistachios: Pistachio is very good for health. It has magnesium, copper, fiber, phosphorus and vitamin B. It can prevent us from cholesterol and heart attack. Walnut: Walnut has fiber, vitamin B, magnesium and antioxidants. It keeps hair and skin healthy. It prevents us from diabetes, obesity, cancer and heart disease. If you have insomnia problem then you should eat them. Pecan: It is full of zinc, vitamin E, vitamin A, folate and phosphorus. It reduces blood cholesterol and protects against heart disease. Zinc and vitamin E prevents from cancer and infection. Fairness also increases by eating it. Apricot: Dry apricot is beneficial in thirst and cough. It is full of vitamin A, B complex and vitamin C which are beneficial for the eyes and fertility. Raisins: It makes blood and removes air impurities, bile and cough. It is also beneficial for heart. It also reduces shortage of blood as it has too much iron. It also cures sexual debility. Raisins: Take 3 raisins in the morning-evening. It is very helpful in constipation. If you have shortage of blood in the body or have acidity problem then you should eat palm. It is full of iron, calcium, potassium, magnesium, phosphorus, manganese, copper etc. nutrients. Fig: It has good amount of vitamin ‘A’ and ‘B’. Constipation, anemia, asthma, cold, back pain, headache and body gets strength by eating it. Fig has much calcium which helps to strengthen bones. Peanut: Did you know that 100 grams of raw peanut is equal to 1 liter of milk in protein. Peanuts have more than 25% protein. It is also effective in increasing the digestion. How Often One Should Brush in a Day?